3The Destiny 2 action continues in the upcoming “Warmind” Expansion from Bungie and Vicarious Visions. The Polar Ice Caps on Mars are the next destination, for new adventures, gear, and challenges. Warmind will include a new endgame activity, “Escalation Protocol”. 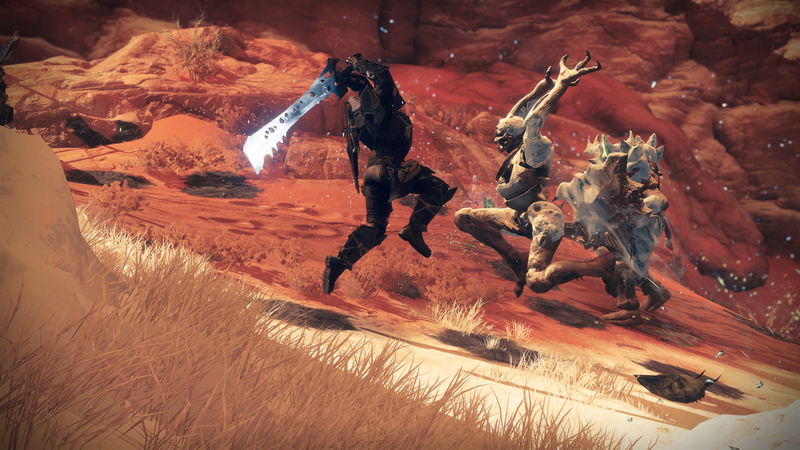 In it, players fight increasingly difficult waves of Hive combatants, included in the expansion and going live on Friday, May 11th will be a new Raid Lair. “Spire of Stars” will offer new areas to explore, a new boss to defeat, and unique rewards on top of that. Season 3’s update will come with Warmind, offering updates for all players of Destiny 2. This includes powerful upgrades to Exotic weapons, the introduction of Ranked Crucible play, new Crucible maps, Private Matches, more Vault Space and more. At launch, Playstation gamers will get access to an additional timed exclusive* Strike called The Insight Terminus that will include an earnable timed exclusive* Armor set for each class until at least Fall 2018.